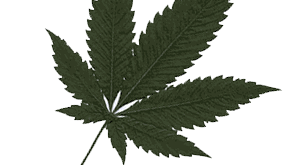 Wondering what the best marijuana strain is for relieving chronic pain? Whether you need it for neuropathic pain, for post-surgery or injury, muscle pains, cramps, fibromyalgia or migraines, marijuana can certainly help. As you may know, each person has a different propensity to pain and painkillers in general, and there are different elements that you have to take into consideration, i.e., pain type and intensity, and the individual’s physiology. 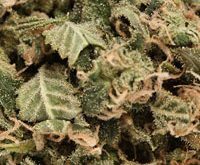 ACDC is one of the best marijuana strains that can beat pain at its own game. Characterized by a remarkably high CBD component, the Cannatonic, this Sativa-dominant type boasts a CBD to THC ratio of 20:1. You will not get any psychoactive effects when you take this marijuana. The best part is that you can still function as you normally would, which means you can get out and run errands as ACDC won’t affect your mind or your mood. ACDC has been tested for CBD levels and it came out at 19%, which is heads and shoulders above the competition. Experts will recommend this strain for users who want to be treated for chronic pain, epileptic seizures, multiple sclerosis and during the stages of chemotherapy. The taste is great- you get a mix of earthy flavors and the refreshing scent of pine. Named after a known pro-marijuana figure, the Jack Herer has been proven to be extremely effective in negating pain. You get pain relief as well as the benefits of Sativa. It brings back your appetite, cures you of fatigue and treats depression and general moodiness. The CBD content is up to -.2 percent while THC is somewhere around 18 to 23 percent. Jack Herer is the result of breeding 3 strains- Haze Hybrid, Northern Lights # 5 and the Shiva Skunk. Get immediate relief from pain while enjoying a sweet, fruity flavor with the Pineapple Express. This is a testament to the movie of the same name. The strain is a mixture of the Hawaiian and Trainwreck, with a sweet scent of freshly cut mangos and apples. How does Pineapple Express treat pain? Very effectively. In just a short time you’ll feel a euphoric high that will make you feel happy and relaxed. The smooth flavor is just right- you’ll feel as though you’re on a tropical island on a vacation. Moreover, you’ll feel positive, uplifted and even enlightened to some degree. The best thing about Pineapple Express is that it rarely gives you a hangover no matter how much you used. You’ll even get a slight energy boost after you’ve finished! 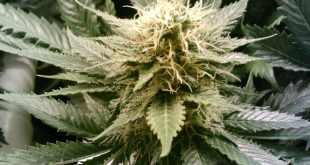 Another hybrid strain, the White Widow comes from the marriage of South American sativa and South Indian indica. You’ll get a variety of benefits, which includes an overall feeling of happiness, improved appetite, and more energy. Plus, it lifts up your mood when you’re feeling blue. This curious-sounding marijuana strain is a mix of Durban Poison and OG Kush. Originating in California, the GSC launches you in a pain-free state that’s ultimately relaxing. You also get full-body relaxation because of its potency. The Girl Scout Cookies is so potent that a small dose provides a long-lasting effect. The GSC has won several marijuana awards and boasts a THC content of somewhere from 10 to 28 percent. GSC has other minor strains under its umbrella, all with different appearances and effects. Once smoked, it will leave you ecstatic and you’ll feel great in both body and mind. The scent coming from this strain is that of freshly-baked cookies (hence its name). The taste is a bit earthy and a bit sweet, with a chocolatey aftertaste that you won’t forget. Last but not the least, the GDP, or the Granddaddy Purple. This strain comes from a mixed breeding of the Big Bud and Purple Urkle. The leaf is a stunning purple with a sprinkling of shiny crystals over it. The THC content of the GDP is unusually high, and it will be best to sit or lie down and stay in that one location while you take the marijuana hit. Indica strains are noted for their pain-killing abilities, and the GDP is no exception. It can be used to treat pain coming from an injury, post-operation, recurring migraines, muscle spasms and fibromyalgia, among others. The THC content is somewhere between 17 to 23 percent. You get a taste of sugar and berries and a similar scent. Increased appetite is also an effect when you smoke GDP.